In 2014, actress Gwyneth Paltrow attempted the “Food Stamp Challenge”, an exercise in which the actress was challenged to eat on the average individual food stamp allotment provided for those living in poverty: $4 a day. Ms. Paltrow did not succeed in the challenge, thus highlighting the difficulties and the hardships that face many individuals every day when it comes to feeding themselves and their family. 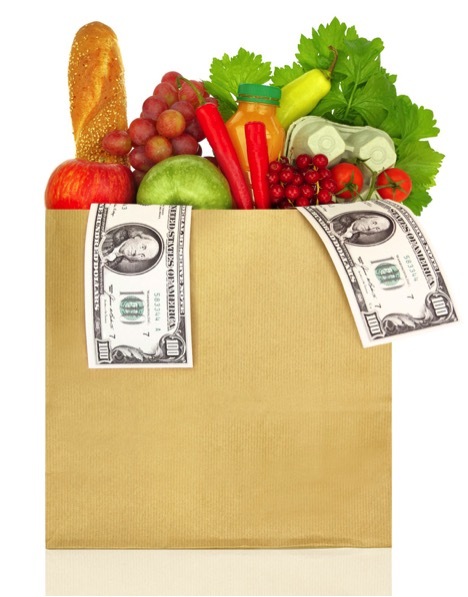 While not easy, it is possible to eat healthfully and well on $4 a day. It takes some discipline, some creativity, and some planning, but it is well within reach of most everyone to eat and live well on this seemingly tiny amount of money. Here are some of the basics for stretching your dollar and meeting the challenge without sacrificing your health (or your taste buds). Have a kitchen full of ingredients. Making your own staples such as bread, granola, cakes, and even yogurt can not only save you huge amounts of money, but also gives you the peace of mind of knowing what is in your food. One $3 bag of flour can make bread, cakes, cookies, dumplings, tortillas, and yes, even pasta for weeks at a time. A single loaf of bread can cost $5 at the store. One $2 gallon of milk will produce over 100 oz of fresh Greek yogurt, instead of spending $1.25 per 2 oz container. Never walk into the grocery store without the three essentials: Coupons. Prices. Know what you’re going to make for the week. Have coupons ready for items you plan on buying. Know what price you’re willing to pay for an item, and ever overpay. Plan your meals around the sales. If chicken quarters are going to be $.29/lbs, then plan an entire week of meals around that. Chicken soup, chicken and rice, chicken chili, grilled chicken. The options are endless. Shop your own pantry first. Once a month, look through your kitchen and your pantry. Cook as much as possible from your own pantry, freezer, and fridge without purchasing anything extra. The savings from the week will free up extra money for other days in the month. For Ms. Paltrow, it was a game. For many Americans, it is a reality. Where she failed, others can succeed, and why? Because eating healthy food should be a basic human right, not a game for the entertainment of others. Ms. Paltrow failed at this challenge because she wasn’t strong enough to meet it head on…are you?